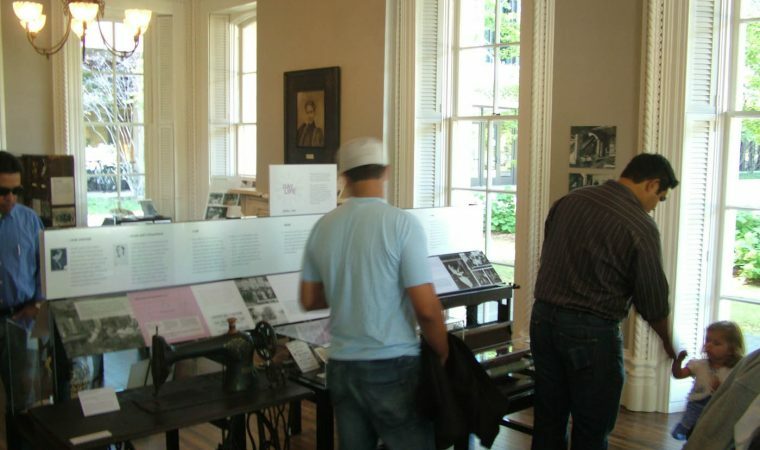 Hull House Museum reopened September 9 with a day-long celebration that started at Noon in Daley Plaza, celebrating the 150th birthday of Nobel-prize winning social activist and Hull House founder Jane Addams. IT’S GREAT! There is an openness to the overall design that is inviting and a contrast to the ancient stereotype of the house museum. It also more realistically conveys the use of the house, which was full of people and activities, and not a traditional Victorian house. The interpretation is complex but crisp, innovative in its use of technology without being smitten with technology. 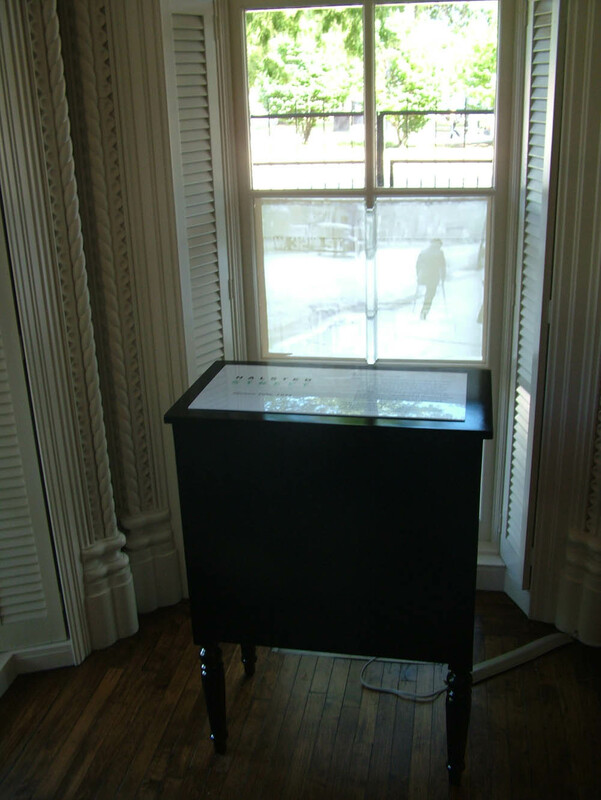 In fact, it uses pretty much every kind of interpretation there is, from wall text and vitrines for objects to cell phone audio tours and interactive “find this thing” worksheets. 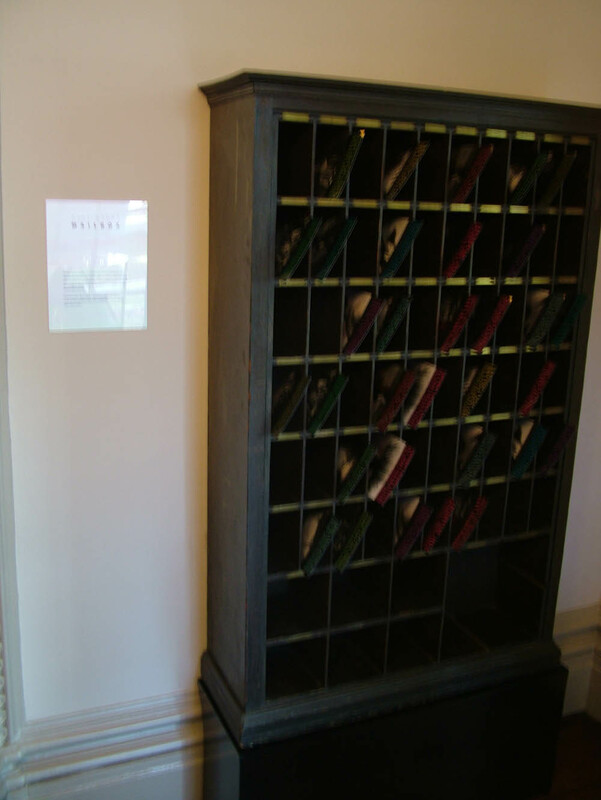 These are in the rear parlor, which served as a dining room early on, and has old historic books you can look at (and some you can’t, but they are both there) and art from Hull House residents. 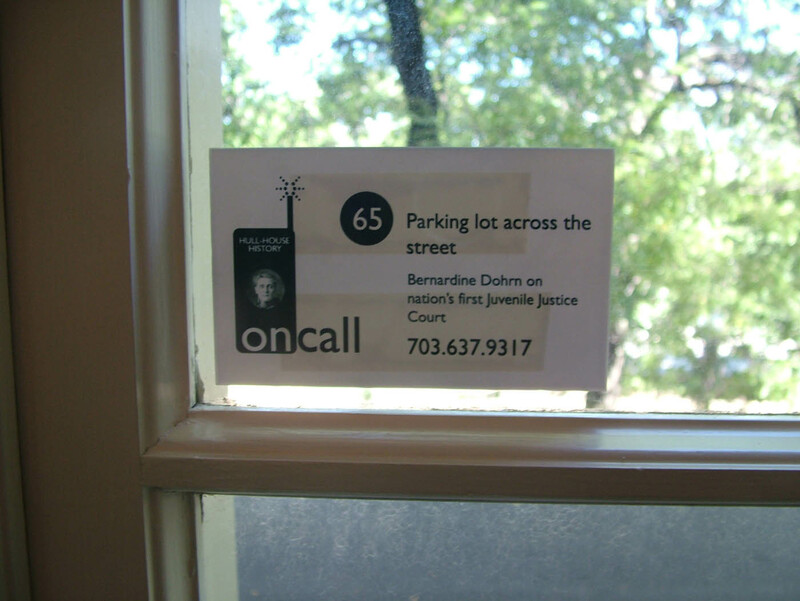 I can remember being at a building conservation conference in Sweden three years ago and hearing about cell phone audio tours – Hull House used them even before this reinterpretation – and they are sagely used not to talk about the past alone but link the social justice mission of 19th century Hull House with similar (and sometimes identical) missions today. 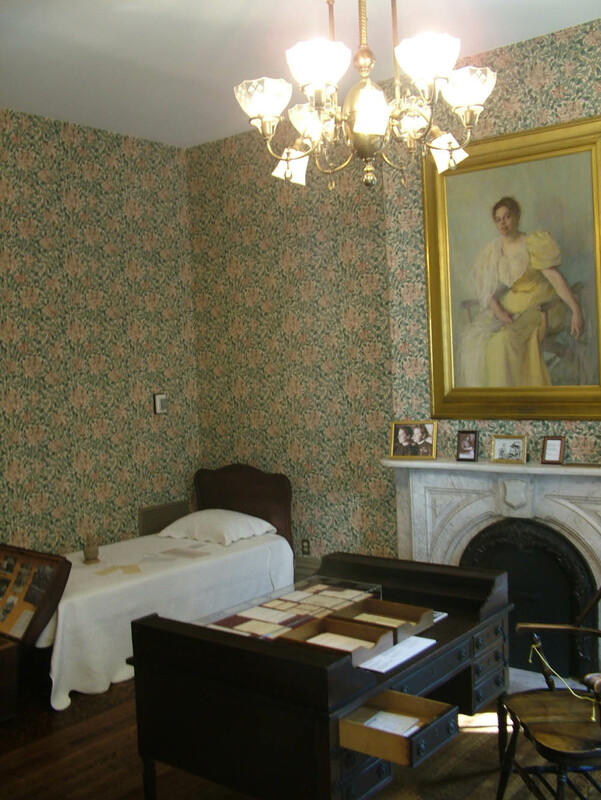 I learned a lot in the front parlor, which focuses on key women reformers, Florence Kelley, who fled an abusive husband in the 1890s and helped eliminate child labor; Ida B. Wells, who fought lynching, Julia Lathrop, Ellen Gates Starr and more. Their stories are in circular vitrines that combine objects and text, while the wall mailbox used by residents is repurposed to link to present day issues. 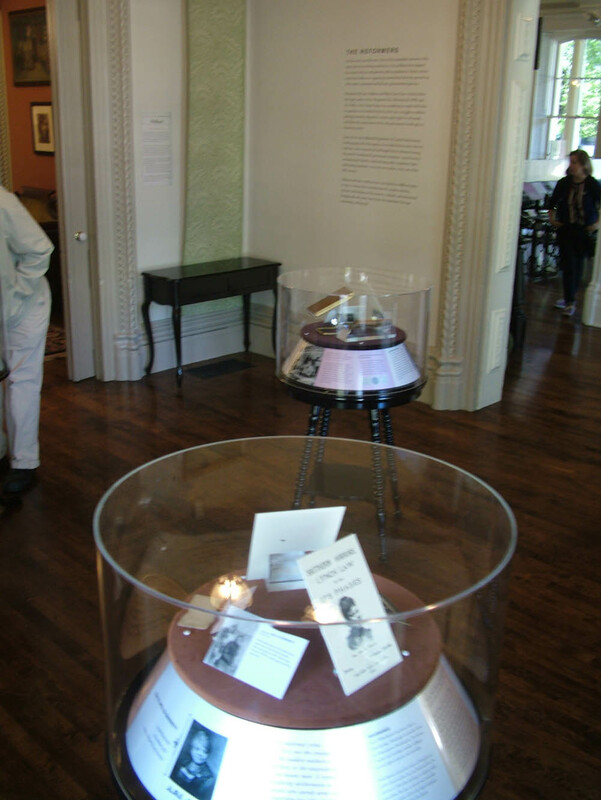 One of the most innovative rooms is the octagonal bay, where there is a sound installation that combines audio files from Hull House residents and commentators with period sounds like streetcars, typewriters, sewing machines and more. Sound history is a relatively new field, and it is exciting to hear it in this context. 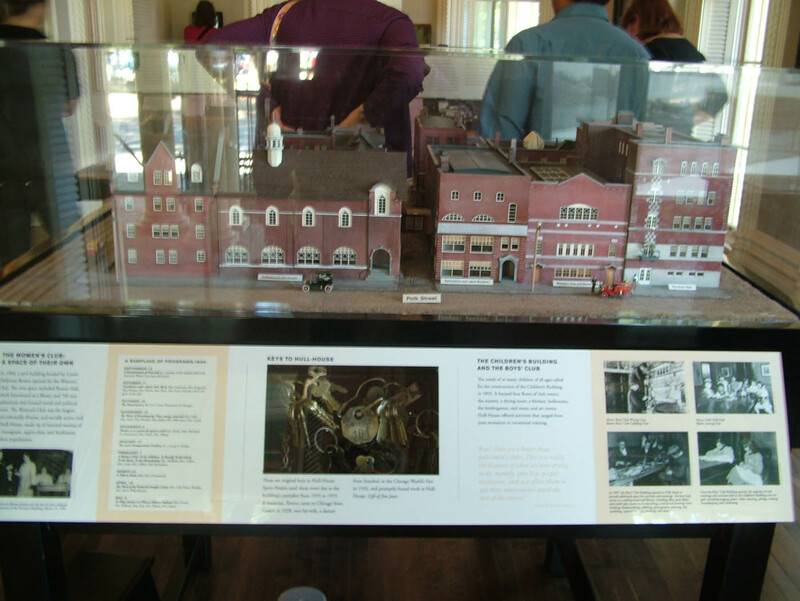 The thing that really got me excited when I walked in was the new model of the Hull House complex, lovingly rendered by John Peplinski, who dug even deeper for photos and images than I did when I first traced the history of the buildings back in 2003. 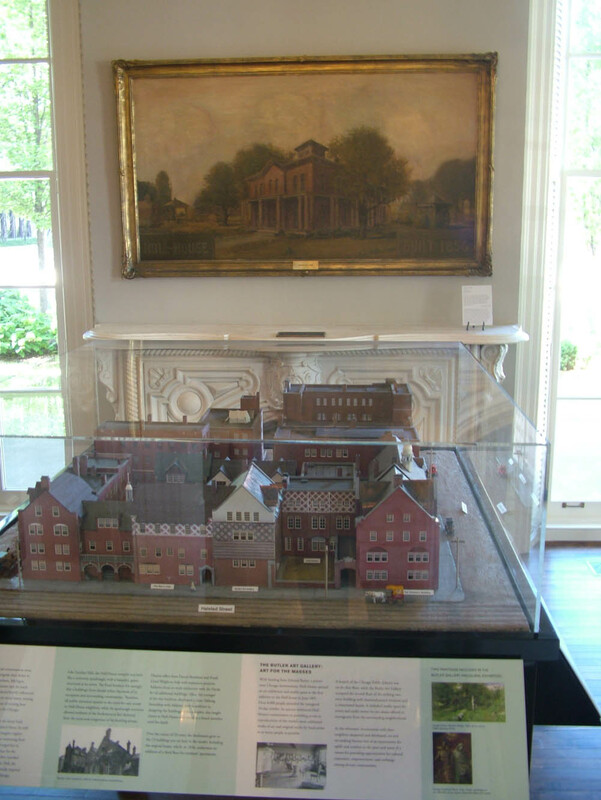 The level of detail in the model is amazing, and it is set in front of the famous – but flawed – painting of the 1856 Hull House that was used for the 1960s restoration. The model is fantastic – you can see the diamond-paned windows and diaper brick patterns so indicative of Pond & Pond’s work, you can see the bridges and balconies and even the TB tent on top of the Crane Nursery. It was very exciting to see it in such detail. 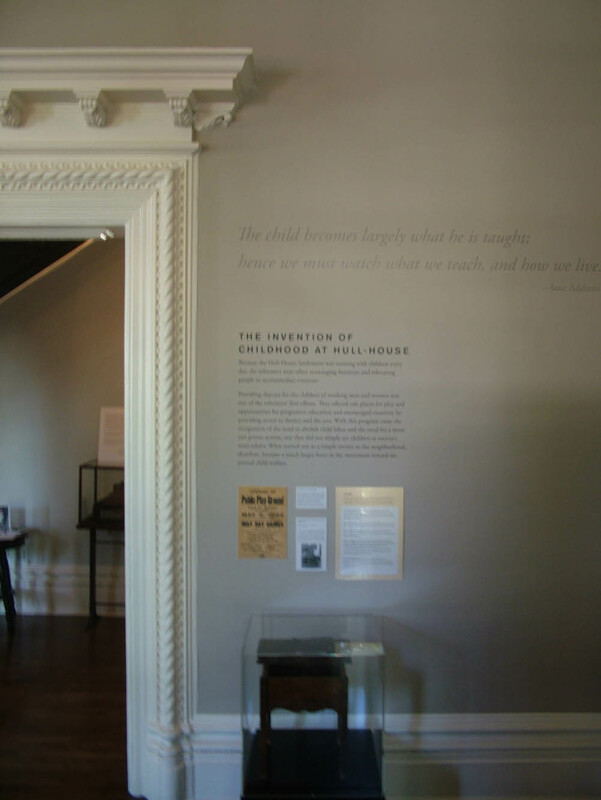 Another room details the influential pioneering sociological study Hull House Maps and Papers, and another focuses on the Juvenile Justice System pioneered at Hull House. It is mind boggling to think of all the reforms that came out of this place. Child labor laws. Juvenile justice courts. Housing and income surveys. Hazardous chemical controls in workplaces. Playgrounds. Kindergarten. 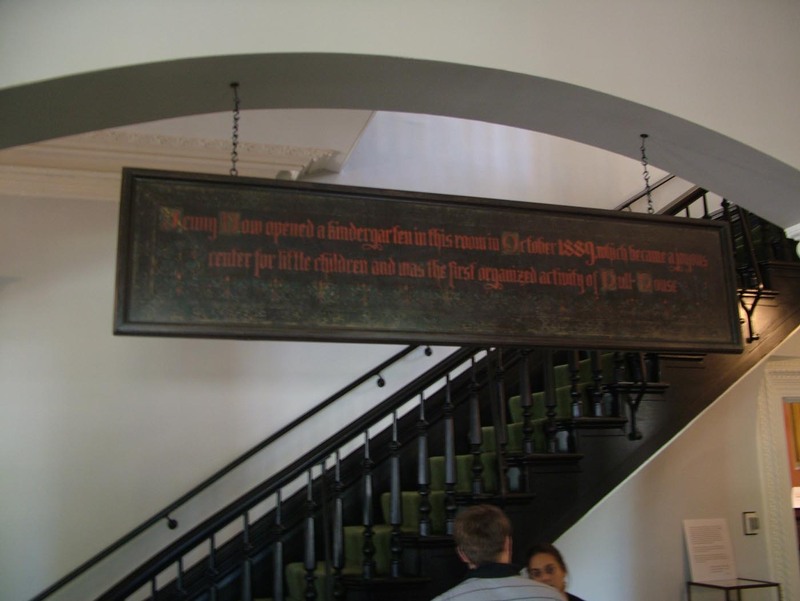 Yes, kindergarten – they found and reinstalled this century-old plaque commemorating Jenny Dow’s innovation. At the National Trust we have spent a decade trying to move house museums “beyond the velvet ropes” and this reinterpretation does just that. But the house speaks too, in new ways. 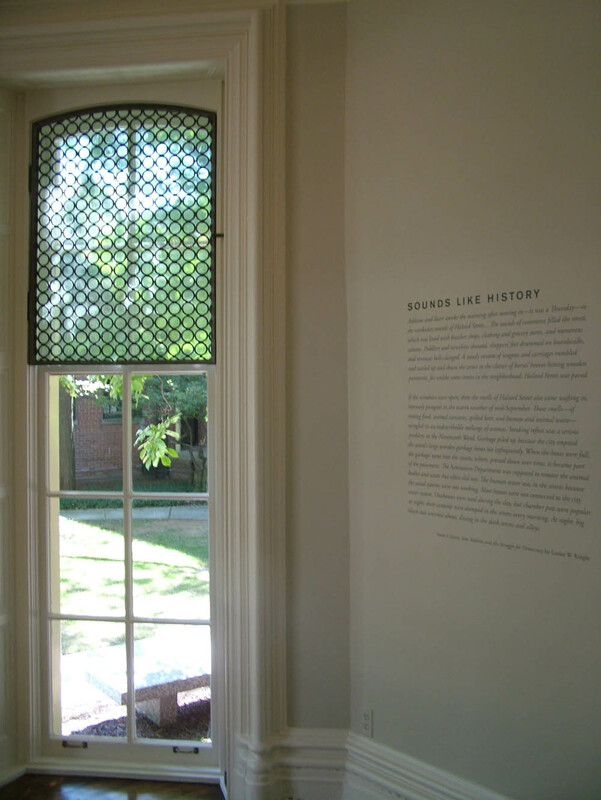 A series of “Architectural encounters” demystify everything from wallpaper and paint to the original purplish bricks of the Hull House, buried under a new brick skin in the curious 1960s restoration. 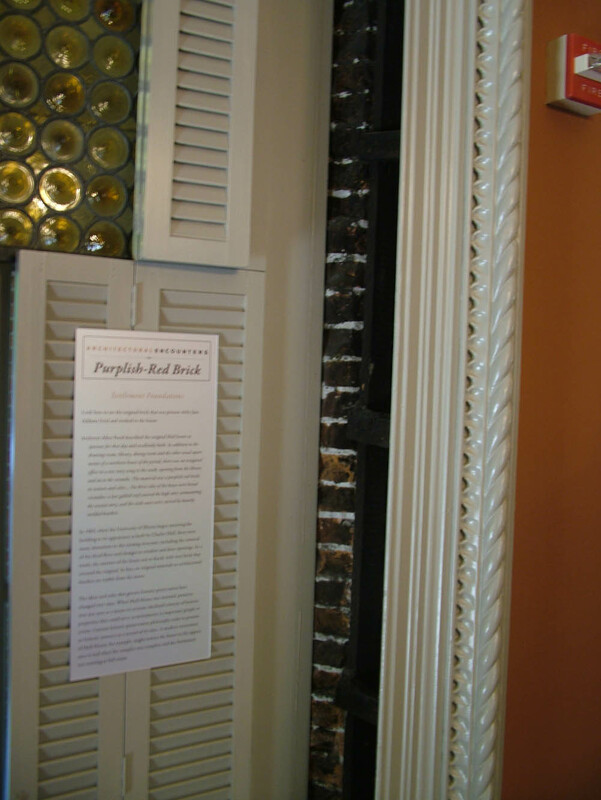 We learn about the meaning of interior finishes and we see that it is BOTH a Victorian house like so many we have seen before but it is also something else. 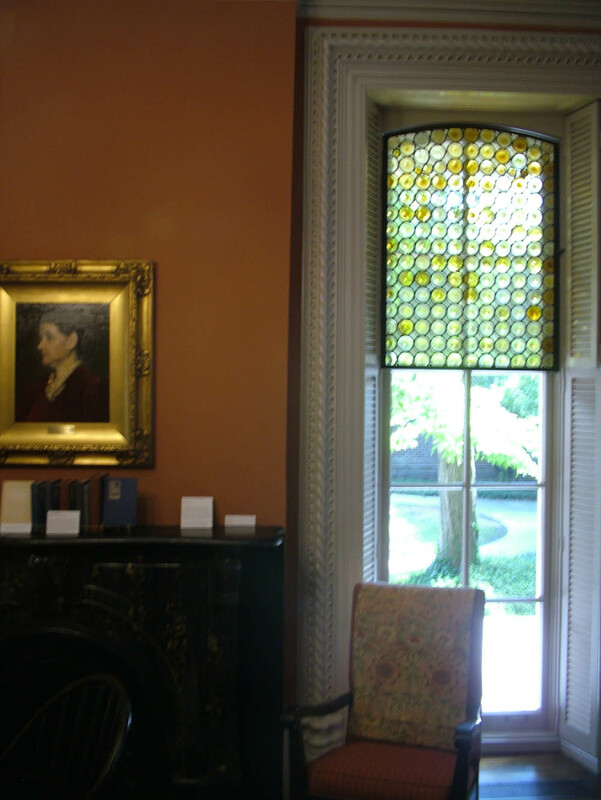 One of the most felicitous moments for me was reading Jane Addams’ account of how nice and comfortable the dining room was, a typical bourgeoise appreciation of fine accoutrements, and then reading upstairs about her early encounter with poverty as a child seeing the crowded houses of Freeport, Illinois and declaring that she would live in a big nice house but that that house would be in the crowded poor district. Which is exactly what she did with her life. This is not pure benevolence or guilt nor is it some sort of sacrificial asceticism – she wasn’t slumming it, she was bringing her world to theirs and trying to understand both worlds and trying to figure out how to ameliorate the painful parts of society. 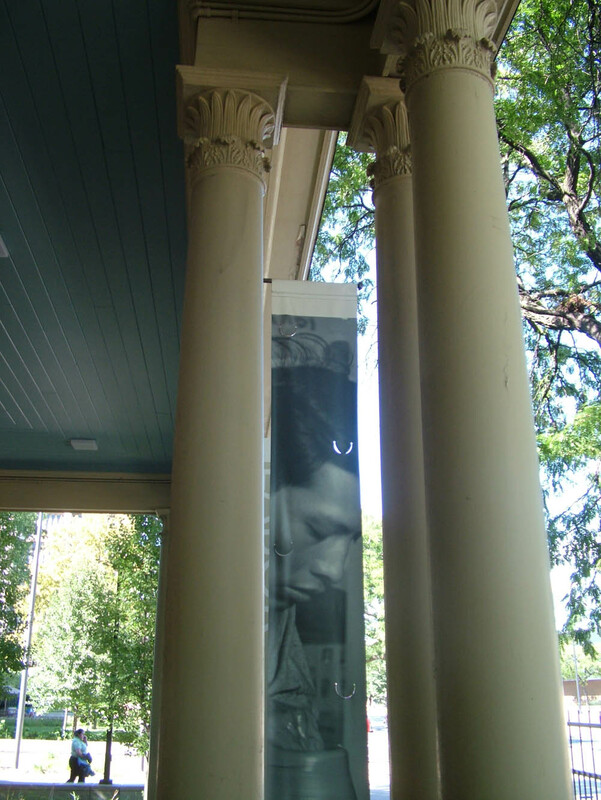 But she didn’t walk in with the solution, only the desire to build a bridge – Hull House – between the haves and have-nots. I have said it before and I will say it again, what is fantastic about the history interpreted here is that it is not interpreted as something removed in time or place, but something that happened in this place and is still happening and is still relevant. 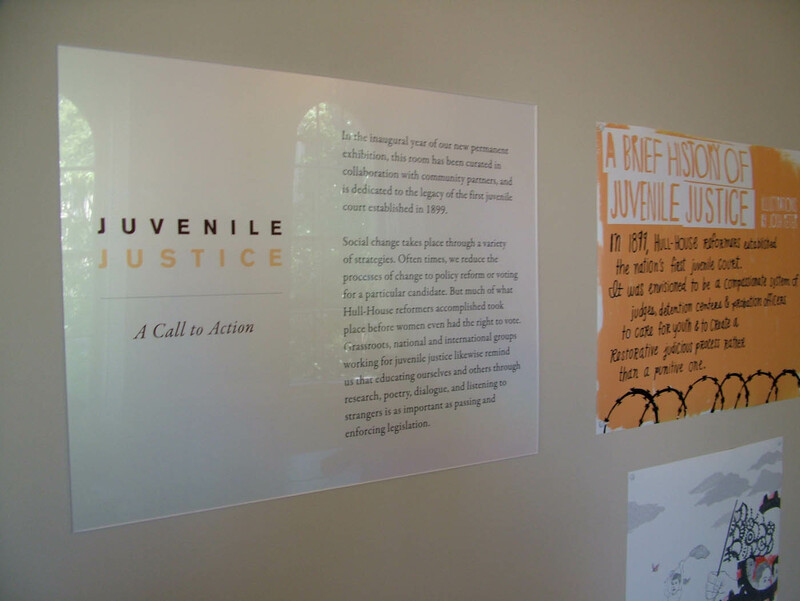 In the Juvenile Justice room you are invited to write a poem and send it to a prisoner. Because they asked for poems. 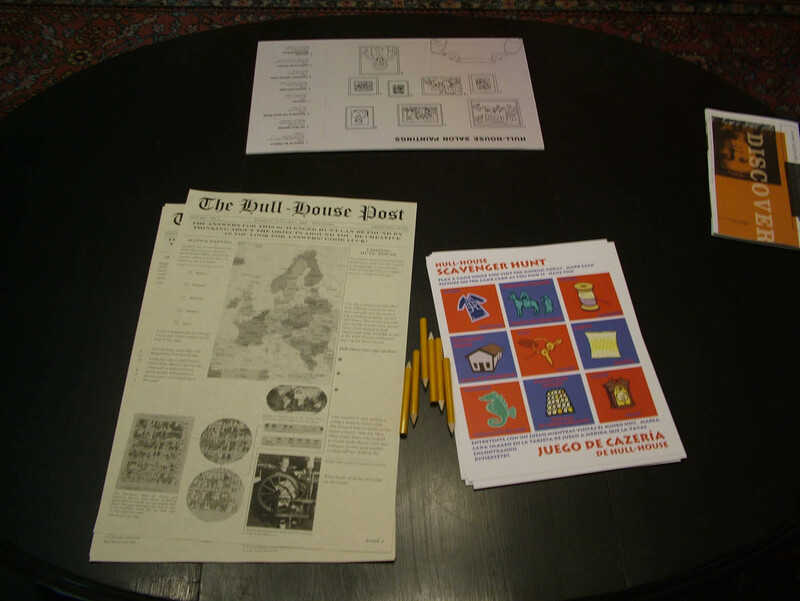 You are invited to look at Jane’s books and to see the ceramics made by 1930s Mexican immigrant Jesus Torres in the Hull House kilns and you and I and everyone else are invited every Tuesday to Rethinking Soup for free soup and a chance to talk about current issues like food sourcing, nutrition, sustainability. They grow much of the food they serve across the street and they strive to engage all of the issues that the original residents engaged as they sought to understand the entirety of the society and city they lived in and to do something about it. Great article and photos. Can’t wait to visit!